The passengers head off towards their cars, as 168002 pulls out of Oxford Parkway station on 27 May 2017 with the 1T43 15:35 Marylebone to Oxford Chiltern Railways service. Oxford Parkway station was opened on 25 October 2015 as part of the Oxford to Bicester line upgrading. 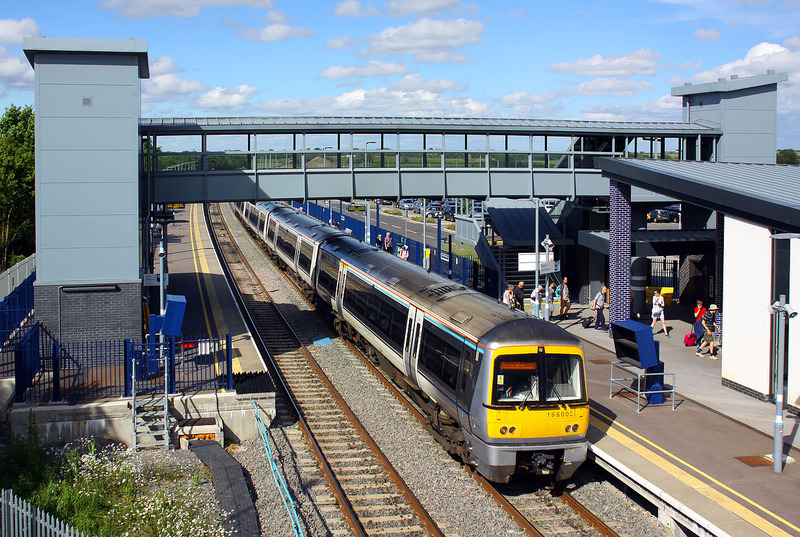 This was a major improvement for rail services in the area, although not as it was continually reported in the local media, the first station to open in Oxfordshire since 1935. Carterton, on the now closed Fairford Branch Line, was opened in 1944.